Posted By:Unknown | At:7:21 AM Be the first to comment! 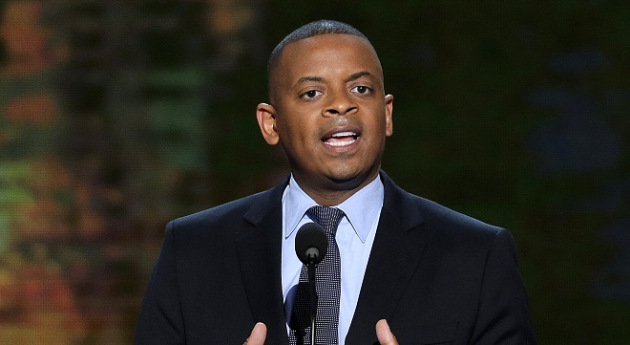 WASHINGTON (AP) — President Barack Obama is nominating Charlotte, N.C., Mayor Anthony Foxx, a rising star in Democratic politics, to run the Transportation Department, a White House official said. Obama will announce the nomination from the White House Monday afternoon, according to the official, who requested anonymity because the official was not authorized to discuss the nomination ahead of the president. Foxx will be the first black nominee among Obama’s picks for open spots in his second-term Cabinet. The president has faced questions, including from the Congressional Black Caucus, about a lack of diversity in his first round of nominations after winning re-election. If confirmed by the Senate, Foxx would take over a department that has been at the center of Washington’s debate over the impact of the so-called sequester cuts. The automatic cuts resulted in furloughs for air traffic controllers that spurred delays at many airports. Congress reached a deal last week to provide the Transportation Department flexibility that allowed it to end the air traffic controller furloughs. The White House official said that as mayor, Foxx has experience in boosting transit infrastructure and using those projects to create jobs. He oversaw a program to create an electric tram service to Charlotte, an expansion of a light rail system and the opening of a third runway at the city’s airport. Foxx was first elected Charlotte mayor in 2009. He raised his national profile last year when Charlotte played host to the Democratic Party’s convention. Foxx would replace outgoing Secretary Ray LaHood, one of the few Republicans serving in the Democratic administration.